Old Navy Onesies! AC lives in them if we have a day just at home. They are so soft, can sometimes have funny sayings, and are inexpensive. They hold up through tons of washings, and never wrinkle! If you have a friend who is pregnant, or if you have a baby — get to your nearest Old Navy! They have a great assortment to choose from!! And moms of boys... they even have cute onesies for them, too! Baby Pajamas! You could say I'm slightly obsessed with them! I can skip over all the other clothes in a store, just take me to their pajama section. And now they have their Christmas pajamas out! AC might already have at least three sets, and I'm sure more will be added!! She's outgrown the cute little footed pajamas. Well, they make them in bigger sizes, but the bottom of them aren't soft like the newborn sizes. And when she was a baby, the zip up pajamas were the best pajamas, ever! Teethers! All babies go through teething. Expect lots of drooling, and everything going in their mouth. I'd say AC's favorite teething toy is Sophie, but these other two are right behind her! As a matter of fact, we don't leave home without all three of these in the diaper bag. Books! AC loves to look at books with you. And if you plan on reading to her, it needs to be one of those one or two liners per page kinda books. 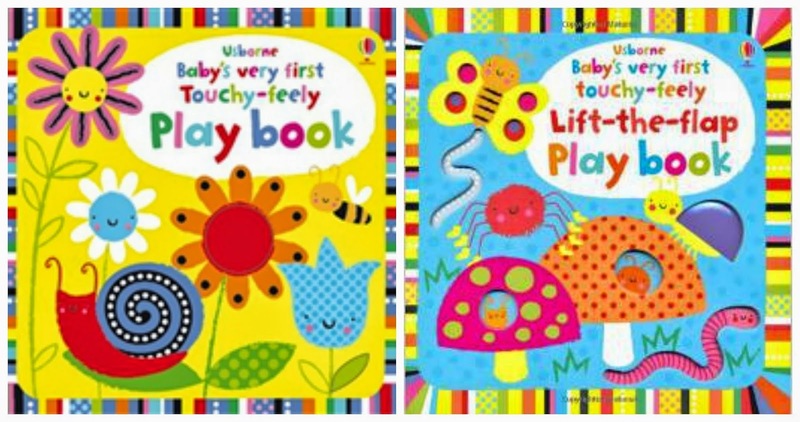 And the touchy and lift the flap books are her favorites. Or anything with lots of bright colors! Music!! We always have music playing in the car. Always. Most of the time it's mommy's music, and yes, my baby does love "All About That Bass!" 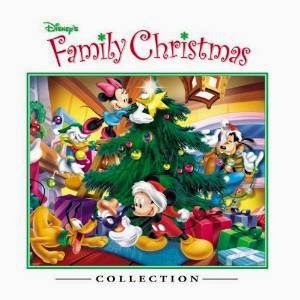 However, I decided to purchase the Disney Family Christmas CD from Amazon so we could introduce Christmas music to her. Y'all — her face when she hears it come on, it's priceless! She loves to hear her favorites Disney characters singing, and she's even started singing along with them. Still not sure what she's saying, but it sure is cute!!! That little leopard onesie is adorable! Have a great weekend Joy! Love those Old Navy onesies! When Jack was younger he lived in those too. Now I can't get enough of their cute little boy graphic tees. 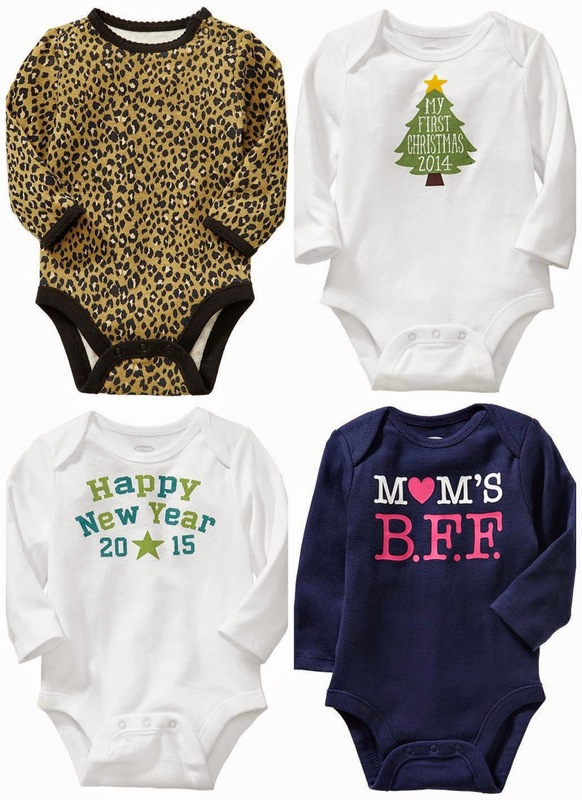 That leopard onesie is a must-have for Avery!